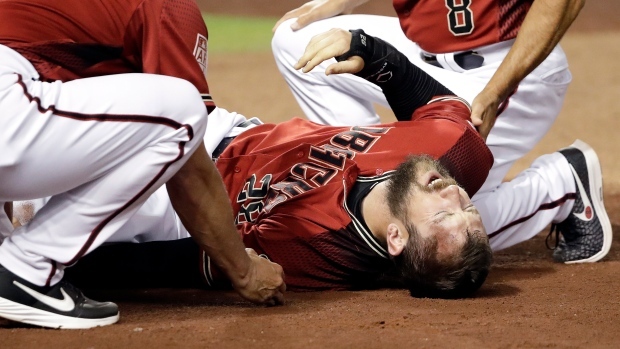 PHOENIX — Arizona Diamondbacks outfielder Steven Souza Jr. will require season-ending knee surgery to repair multiple tears in his left knee after being injured Monday night. Souza hit .220 with five homers and 29 RBIs in 72 games with the Diamondbacks last season and was being counted on to add offence to a team that lost free agents Paul Goldschmidt and A.J. Pollock to free agency. Free agent acquisition Adam Jones will take over in right field and Ketel Marte will spend most of his time in centre field, Lovullo said, with David Peralta remaining in in left field. Jarrod Dyson is the primary outfield reserve.